On the final day of the group stage, Croatia and Russia meet in a straight fight to join Kazakhstan in progressing while Italy play the Czech Republic with Azerbaijan nervously watching on. 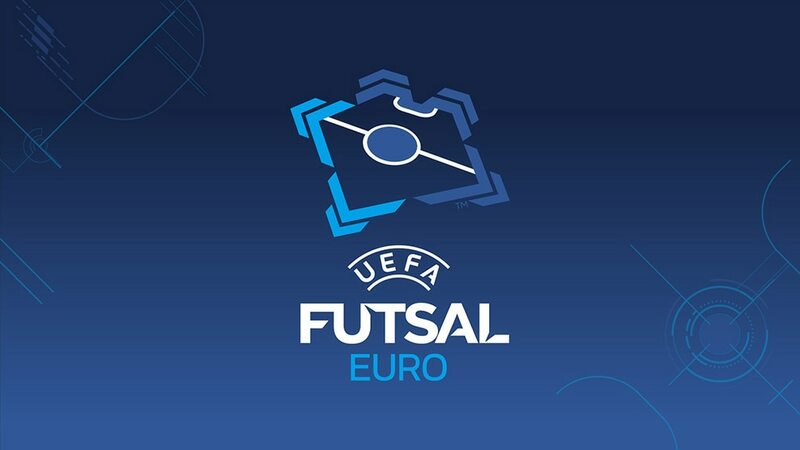 On the final evening of the UEFA Futsal EURO 2016 group stage on Sunday there are two games, three quarter-final places up for grabs and five teams able to get them. In Group C, Kazakhstan are through and Croatia must beat Russia by two goals to join them and deny their opponents. In Group D, holders Italy need only a point against the Czech Republic – who can only go through with a win, which would eliminate Azerbaijan. Despite a stunning Ricardinho goal, hosts Serbia won in front of a group-stage record 11,161 crowd to top the group and avoid Spain in Monday's quarter-finals. Spain showed their ability to win Group B; they play Portugal on Monday after Ukraine meet Serbia. Debutants Kazakhstan are through from this group to Tuesday's quarter-finals after losing 2-1 to Russia but beating Croatia 4-2. Russia are in position to join them thanks to Wednesday's win; following Friday's loss, Croatia must beat the 2014 runners-up by two goals to reach a third straight knockout phase. Croatia have never beaten Russia but have at least some happy memories from a 4-2 loss in 2012; that was the UEFA Futsal EURO semi-final in Zagreb and the hosts' run attracted a competition-record 14,300 crowd. Player to watch: Dmitri Lyskov (Russia) – Made two goals against Kazakhstan in the space of 28 seconds with superb passes to Romulo. Key number: 0 – The number of times Russia have failed to get among the last eight in this competition, though they did fall in the 2003 group stage when only eight teams qualified. Mato Stanković, Croatia coach: "[Friday's] match has set the tone for the rest of our championships here but in the last five years we have beaten or drawn against pretty much every top futsal team in the world and we will fight as hard as we can to beat Russia to make the quarter-finals." Romulo, Russia player: "We did well against Kazakhstan and it felt great to score two goals but now we have a completely different match and a different opponent in the shape of Croatia. We'll train very hard and also watch some videos of our opponents, but one thing is for sure: we have to win. Russia always play to win." Holders Italy would already be through had the Czech Republic not conceded with 40 seconds to go to lose 6-5 to Azerbaijan on Friday. The Azzurri had beaten Azerbaijan 3-0 two days earlier and only a five goal defeat would stop Italy going through; any win is good enough for the Czechs. Azerbaijan are hoping for any result apart from a Czech win by between one and four goals. The Czech Republic do have a decent recent record against the Azzurri, the two teams sharing friendly wins in January 2015 in Italy, and Tomáš Neumann's side winning on penalties after a 1-1 draw in Kuwait three months earlier. However, Italy looked by far the more impressive of the two sides in their opening game, though Azerbaijan took a far more positive approach against the Czech Republic. Player to watch: Michal Seidler (Czech Republic) – Was hard-working in attack against Azerbaijan and may be the man to threaten Italy if an upset is on the cards. Key number: 65 – The number of Czech attempts against Kazakhstan; only 18 were on target, one fewer than Italy managed from 54 in their opener. Tomáš Neumann, Czech Republic coach: "We have to prepare for the match against Italy and have to make sure we don't make as many mistakes [as in our last game], and try to win and reach the quarter-finals. Italy are big favourites. Our chances are not great but every game starts at 0-0 and we will try to surprise them." Roberto Menichelli, Italy coach: "It is an unusual psychological situation. We are not used to being defending champions. It is a new situation for everyone, me too, but we played the right sort of game [against Azerbaijan]." Portugal 1-3 SerbiaRicardinho scored a goal for the ages but two late strikes earn the hosts, and their record crowd, victory and Group A first place. Ukraine 1-4 SpainSpain beat their fellow quarter-finalists to win Group B with both Alex and Mario Rivillos scoring twice. Azerbaijan 6-5 Czech RepublicRafael was the 11th different scorer with 40 seconds to go to give Azerbaijan an invaluable win in Group D.
Kazakhstan 4-2 CroatiaDebutants Kazakhstan are through to the quarter-finals after clinically beating Croatia, their sublime fourth goal the pick.